Although we mainly associate cameos with the image of a face in profile, ‘cameo’ actually refers to the method of carving rather than the subject. 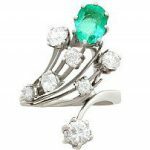 Cameo brooch history is an interesting one, dating back to 300 BC. The subjects and purpose of cameos may have changed since, but their popularity has remained fairly constant. 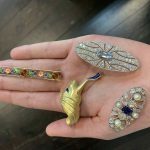 Cameo brooches are perhaps the most common style seen today, but cameo lockets, bracelets and rings can also be highly impressive collectors’ items. Carnelian shell: peachy orange in colour. Sardonyx: featuring a dark background with a white foreground, a dark brown marbled interior with a thick outer wall. Mother of pearl: Opalescent in colour with hints of blueish grey. Best results are achieved when it is set in silver. Agate: A blueish green in colour. The method of carving cameos takes great skill and craftsmanship. Many artists have dedicated their lives to the craft. To create a cameo, you first must divide the shell (or material of choice) into two parts. One part will be used to make the cameo, and the remaining piece is normally used to make smaller trinkets. Next, the ‘cup’ (the section piece used to create the cameo) is split into two again. This will produce two pieces of shell which are thick and rich in colour. When you have your ideal section of the material, you must then smooth and round the back of the piece. After this, attach the piece to a wooden stick and face to rough, convex side to the front, ready to begin your carving. Most makers would first choose the sketch their design onto the shell, and then commence the carving. Historically, most cameo carvers carved by hand. They would normally use a tool called a bullino, which has been used by Italian carvers for 100s of years. Nowadays, some carvers tend to opt for a small dental drill, which creates a similar effect. Cameos can take anywhere between a few hours and a few days to complete. Sitting near natural light helps the process greatly, but as for the rest, it is a matter of patience and precision. Cameos can be traced back to 300 BC Alexandria, Egypt. During these ancient times, scenes would be carved in to rocks to express various things. Important events and figures were documented in this way, as were religious statements and moral teachings. During the Greek and Roman eras cameos most frequently featured images of gods and goddesses. Inspiration also came from mythological heroes and biblical events. In the Hellenistic period cameos took on yet another role. At this point they started being worn as jewellery and were used as signals. 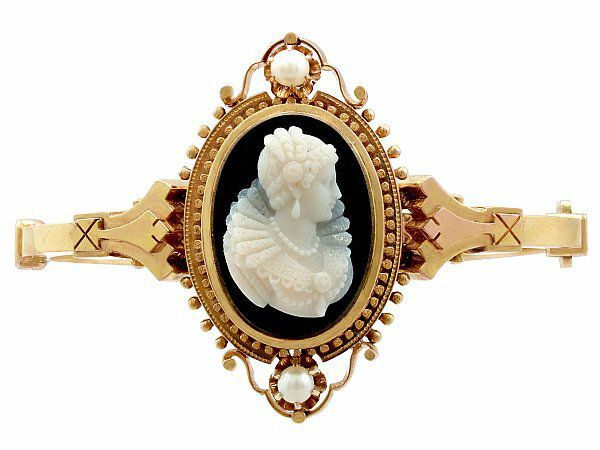 For example, if a young girl was wearing a cameo which depicted a dancing eros this could signal a seductive invitation. 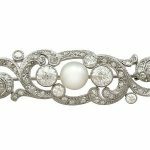 Although today we are more familiar with cameos being worn by women, up until the Elizabethan period they were more commonly worn by men. This is because they were associated with military attire; often being found on helmets and sword handles. During the reign of Elizabeth I however, they found their way into general fashion, with women wearing them as a sign of status. Upon the excavation of Pompeii in 1748, the tourism industry boomed and trips the ancient site became very popular. Many tourists chose to bring back souvenirs from their trip in the form of a cameo crafted in lava or shell. It wasn’t until the 19th Century that cameos which featured a face in profile became popular. This may seem strange as it is easily the most prominent form of cameos today. These profile cameos were most often carved in hardstone or agate. 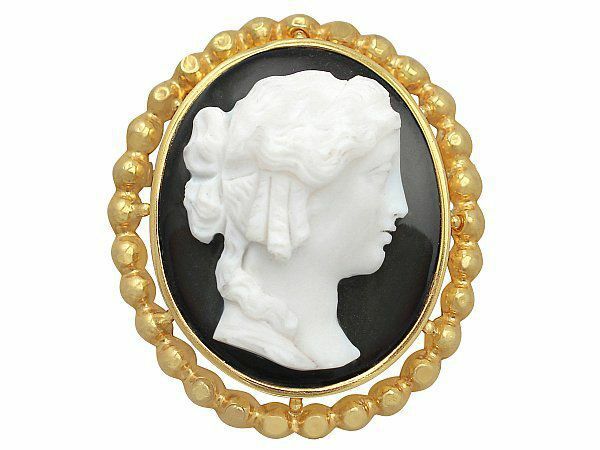 Cameos have long been a status symbol, whether in brooch, ring, or necklace form. Therefore it is fitting that many famous historical figures had a particular love of them. Pope Paul II loved cameos and other jewels so much that some believe it eventually killed him. 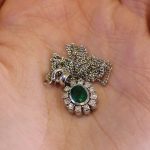 This sounds extreme, but the cameo rings which he loved wearing are thought to have kept his hands at a dangerously low temperature, leading to a chill and eventual death! Napoleon was another cameo enthusiast. He loved cameo jewellery so much that he even wore a cameo to his wedding. He also founded a school dedicated to the craft, making sure students were equipped to learn and practice his beloved art. 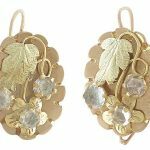 Historical trend setter Queen Victoria owned cameo jewellery and contributed to their popularity during the Victorian era. 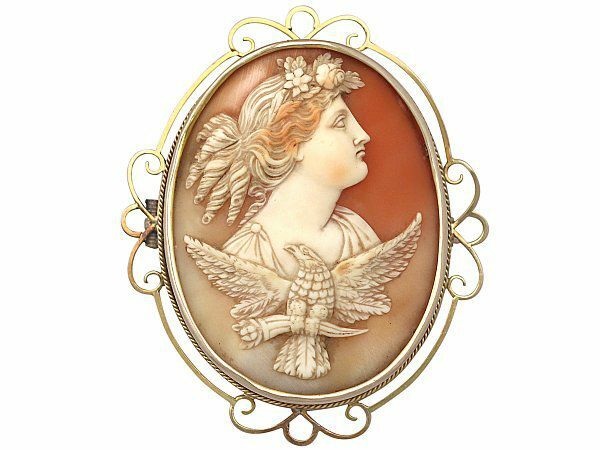 Sea shell (particularly carnelian shell) cameos were made particularly sought after. 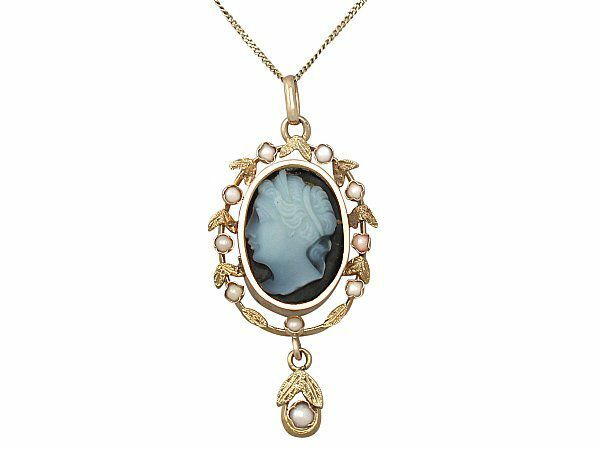 Cameos remain popular today, especially for those with a love for antique nostalgia. There is something romantic and impressive about cameo jewellery; I’m sure you’ll be able to see for yourself when browsing our selection of cameo brooches, pendants and rings!